Clothes Line applauds all these caring girls and ‘The Hake House Team’ from this wonderful school. 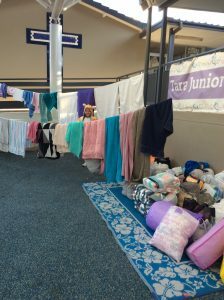 Each term, Tara girls in the Junior School participate in a Service Learning Day to support different charities and deepen their understanding of topical issues in the world around them. This is a way for girls to care for others, appreciate differences and develop into more globally-minded citizens. Every night, approximately 100,000 Australian people are homeless. Many of these people spend cold nights out on the streets. 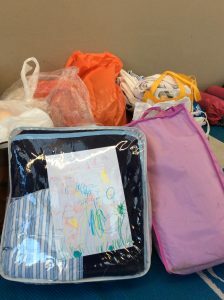 This got some Junior School girls thinking about how we could work together to support Sydney’s homeless. 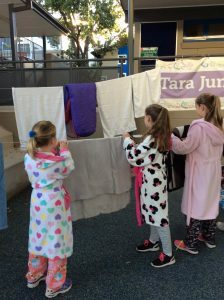 The Hake team decided hold a pyjama day at Tara on Friday 26 May to raise awareness of the fact that homeless people have to spend whole nights on the streets, even when the weather is cold. 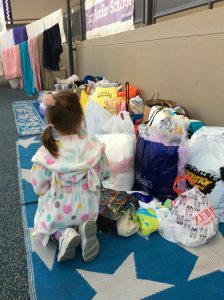 Girls brought in donations of towels, blankets, sleeping bags and gold coins to go to Clothes Line, a Sydney based organisation who distribute directly to needy people. During the day, as part of House Jam, the girls participated in some games and discussed the issue of homelessness.